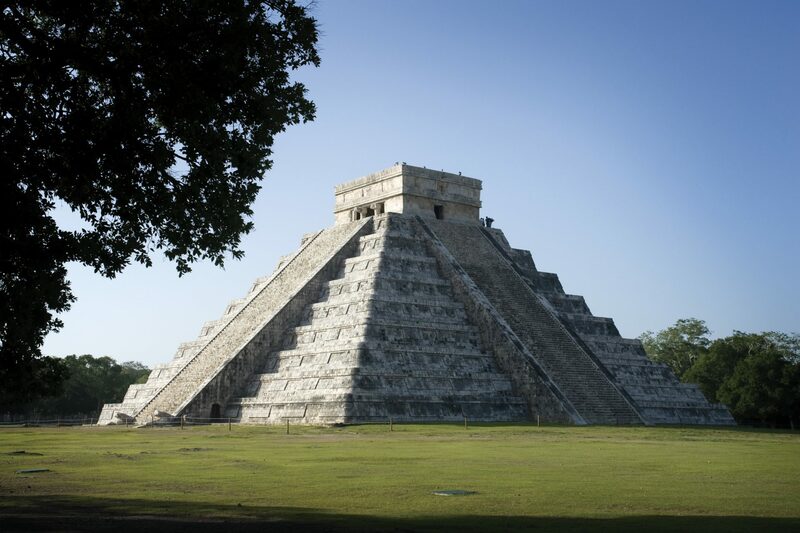 Chichen Itza holds a very special significance within the Mayan classic period. It represents the pinnacle of Mayan civilization. The architectural style has a strong Toltec influence from central Mexico. In order to preserve the citadel, there are restrictions at most building. However, just walking among the magnificent structures and the jungle is worth a visit. 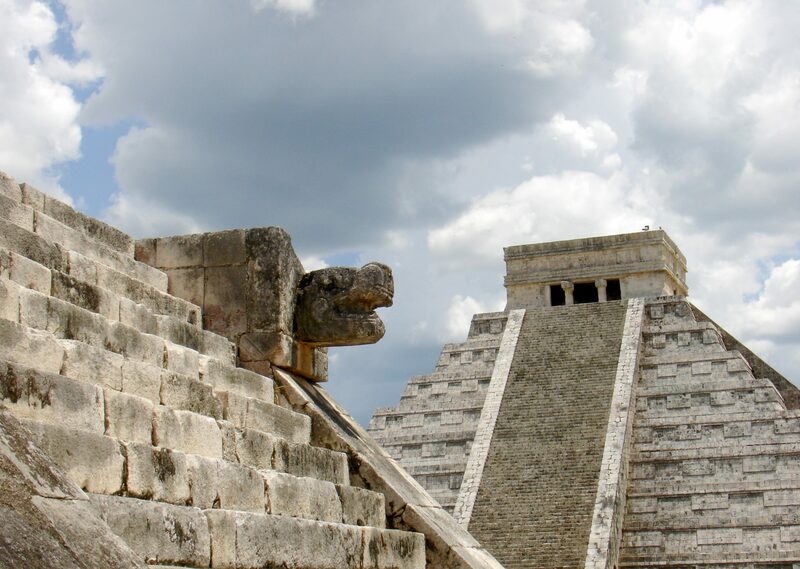 Key landmarks are: Kukulkan pyramid, commonly known as “The Castle”, the ball court – the largest in the Mayan region-, the Observatory and the Thousand Column temple. Afterwards, you can refresh at Ikil cenote and have lunch at the cenote or in nearby Piste. Continue to Izamal village. This colonial town is home of the beautiful 16th. 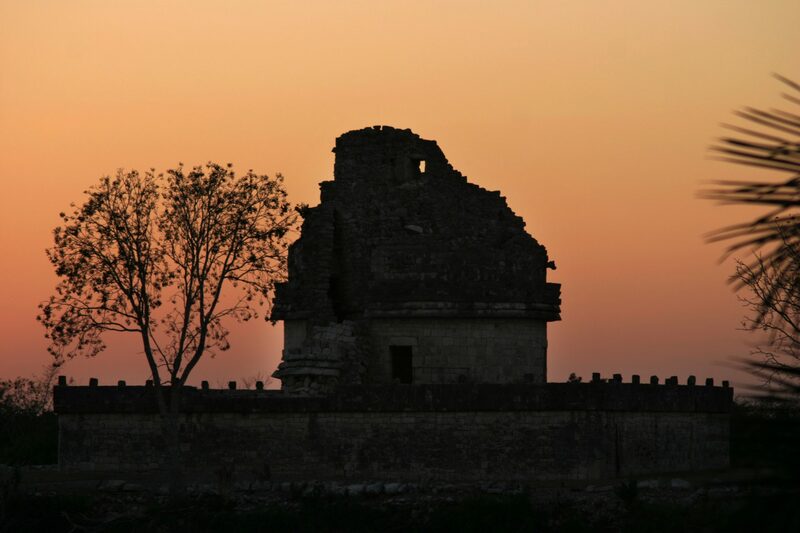 century Franciscan monastery and the Kinich Kak’ Moo Mayan pyramid, which offers great views of the town and the extensive lowlands of the Yucatan. The local museum of Folk Arst displays magnificent pieces of pottery and textiles from different parts of Mexico (closed on Mondays). An alternate stop instead of Izamal, depending on how much time you spend on the first two sites, is Valladolid. This colonial town has several landmarks: the Franciscan convent at the main square, the San Bernardino de Sienna monastery, the blue cenote, among other sites. If you prefer the Valladolid stop, contact us for a quote.